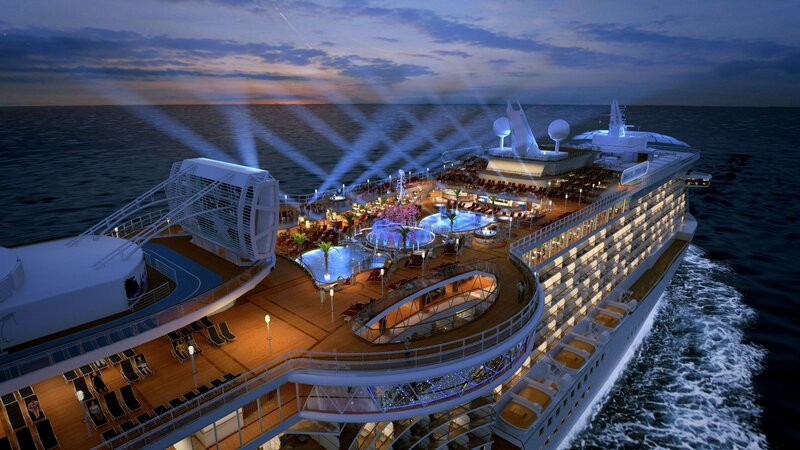 2015 is set to be a big year for the cruise industry, marking the milestone birthdays of two major lines. Not only are the anniversaries incredible achievements for the companies but they are also a prominent reflection of the ongoing public appreciation for their services. The cruise industry is booming as more and more vacation savvy customers turn to the ease, comfort and cost effectiveness of cruise packages. Rather than spending weeks organising accommodation, activities, food and entertainment, cruise packages offer guests smooth and all-encompassing getaways that cater for all tastes, budgets and timescales. From three nights mini-break escapes to multi-month expeditions, there truly is something on offer for everyone. Leisure cruising is by no means a new concept, some lines boasting over 175 years of experience in the art of sailing for pleasure. The popularity of the experience does not look set to slow down with an ever increasing number of cruise companies expanding their fleets in order to cater for the rapidly growing demand. As well as Europe and the United States, many lines are setting their sights on Asian waters where the calls for cruising packages are predicted to skyrocket in the coming years. 2015 will mark the 50th anniversary of industry giant, Princess Cruises. In commemoration of its half a century in service the line has announced the launch of an exclusive 14 day Mexican itinerary. Designed to replicate the original maiden voyage of the Princess Patricia, the modern day Pacific Princess will call at the exotic ports of Puerto Vallarta, Mazatlan and Manzanillo. Other exciting destinations include La Paz and Loreto where passengers can soak up the atmosphere of the iconic Central American country. The voyage is scheduled to commence on December 3 2015, exactly 50 years after Patricia embarked on its debut passage in 1965. After just 50 years in the industry, Princess Cruises has established itself as the third largest cruise line in the world. The company has won the loyalty of passengers across the globe for its exceptional service, exciting itineraries and first-class on-board facilities. With a hugely successful 50 years of experience under its belt, Princess passengers can surely expect another five decades of unparalleled service from the leading luxury cruise line. British premium liner Cunard also has big festivities on the cards and is set to mark its 175th anniversary with a series of celebratory events. Feted as the first passenger cruise line to circumnavigate the globe, Cunard’s 1922 achievement will be honoured with the coming together of three of the line’s luxury liners in the UK port of Southampton. Termed as the “Cunard Royal Rendez-Vous”, the event is guaranteed to be a grand and extravagant spectacle that will thrill the line’s following of loyal passengers. Britannia’s original transatlantic crossing will also be marked with an itinerary that will see the Queen Mary 2 embark on a replica voyage from Liverpool to Boston. The ship will set sail on July 4 2015, exactly 175 years to the date of original departure. The ongoing success of Princess Cruises and Cunard is a testament to the timeless appeal of cruise ship holidays. The industry is booming across the globe and will no doubt continue to do so as lines persevere to enhance their facilities, improve their services, expand their horizons and strive to delight their passengers in every way possible. For an extensive collection of premium cruise ship holiday packages at unbeatable prices, head over to the industry experts at Cruise 1st or call 0800 230 0655 today!